The genesis of Earth Day is credited to Gaylord Nelson, a U.S. Senator from Wisconsin. After witnessing the ravages of the 1969 Santa Barbara oil spill, he called for an environmental teach-in. His modest idea grew quickly and on Wednesday, April 22, 1970 the first Earth Day was held. 43 years later, and held in over 140 counties, Earth Day continues to bring real people together to celebrate this amazing planet and more importantly, to work together to save this amazing planet. Here we are again. 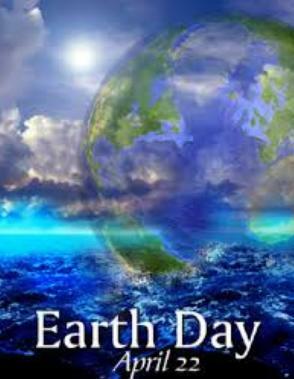 Earth Day, Monday, April 22, 2013, and the threats to our planet, our lives are even more dire. We can point to greedy corporations, and blame them. We can complain about politicians who talk a lot but do little and we can shake our fists at ineffectual government agencies. But pointing, complaining and shaking fists are not enough. Around the time of the first Earth Day, there was a saying – If you are not part of the solution, you are part of the problem. It is time to make a choice. It is time to make a choice to stand up, speak out and be part of the solution, or you can choose to be part of the problem. When you came here today, you made a choice. You choose to be a participant of Earth Day. You choose to stand with others who share the same concerns, the same worries and are seeking the same answers. This is what is it comes down to – Choice. What do you choose? I choose fresh air. I choose air that flows easily and freely. I choose pure water. I choose water that nourishes the land and all that lives on it. I choose a healthy land. I choose land where life is able to flourish. I choose a clean world. I choose a clean world for myself, for my family, for my town, for my state, for my country, for my world and for the generations yet to come. And to this end, I choose to make everyday Earth Day. I choose to be involved, to do what is needed to create a clean world. Do you want fresh air, pure water, a healthy land and a clean world? Then choose to make everyday Earth Day. Find a group in your area, in none exists – start one. Educate and learn what you can do each and everyday. Tags: air pollution, asthma, clean, earth day, flaring, fossil fuel, fracking, fresh, gas drilling awareness coalition, gdac, health, I choose, natural gas, oil spills, pure, smog, soil contamination, sustainable energy, water contamination | Permalink. Pingback: Happy Earth Day! | Kimberley Vassal Insurance Services, LTD.